Your team will include a designated Primary Care Provider that will be responsible for your continuous and comprehensive care. This provider will lead the team of other medical professionals who collectively are responsible for your ongoing care. Your medical team will help coordinate your care ensuring that you receive personalized care using the latest technology and evidence-based medical care. Our Clinical Team is made up of skilled health care professionals to include: Certified Medical Assistants, Nurses, and Phlebotomists. Each health care professional plays an important role in your health care planning and management. Our Advanced Care Team supports the PCP in efforts to deliver effective patient centered care. An Advanced Care Team includes specialists that coordinate and work together to ensure the highest quality of care is provided throughout our practice. Advanced Care Team members are available for ALL patients in the practice, regardless of insurance. At Ardmore Family Practice, our Care Coordinator is Cindy Martin, CMA. She provides case management services when needed and assists with coordination of care and follow up. Caroline G. Grandis, RNC-OB, MSN, FNP-C is our Certified Health Coach. She helps patients gain the knowledge, skills, tools and confidence to become active participants in their care so that they can reach their self-identified health goals. Valerie Holden-Baity, CMA is our Team Lead for the clinical staff. Her role is to lead and work within the practice clinical team, ensuring a high quality of nursing service is provided to all patients. Catherine Vickers, BS Healthcare Management, oversees quality management, to ensure that patients receive an excellent provision of care, seeking to improve effectiveness of preventive care, treatments and increase patient satisfaction with the care they receive. Our Administrative Team is also available to assist you with your scheduling needs and questions or concerns regarding your accounts. Ardmore Family Practice has co-management agreements in place to provide optimal health care for our patients. These agreements provide framework for better communication and safe transitions of care. Nurse Practitioners are quickly becoming the health partner of choice for millions of Americans. As clinicians that blend clinical expertise in diagnosing and treating health conditions with an added emphasis on disease prevention and health management, NPs bring a comprehensive perspective to health care. 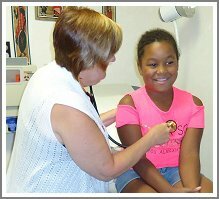 Looking for "Family Practice Physicians Winston Salem NC"? I am always pleased to see Eileen Tague, she is so good in all areas. She is professional yet listens and is helpful in any issues you need addressed. I can’t begin to say all the good things I like about Eileen. She is an Asset to Ardmore Family Practice. I have never had a caregiver like Caroline before. Caroline is personable, caring, and has a bedside manner that surpasses any MD doctor I have seen in the past. All of this from a nurse practitioner is well beyond my expectations. Caroline continues to be engaged in my health care, and very present during my visits. From check in, to check out, I am treated with respect dignity and care. When my health is improving, Ashley is my cheerleader. I like that about her. She’s a great listener and has been easy to talk to since my first visit. Highly recommend! Dr. Amy Sapp has been and is the most caring, attentive, and compassionate primary physician’s I’ve ever had. I am truly grateful and thankful for her medical service and care for me as a patient. Susan was fantastic. She took time to listen and talk and was very caring and warm. I am thankful for finding her. I have been a patient of Dr. Rosen for almost 40 years. He is the best! We have gone through lung cancer, Crohn’s Disease, pneumonia, diabetes, and life together. He feels like a member of my family, always kind and professional!